SOLVE can now offer enhanced separation and characterization of complex charged molecules, invaluable for exosomes, drug delivery vehicles, colloidal stability of proteins etc. 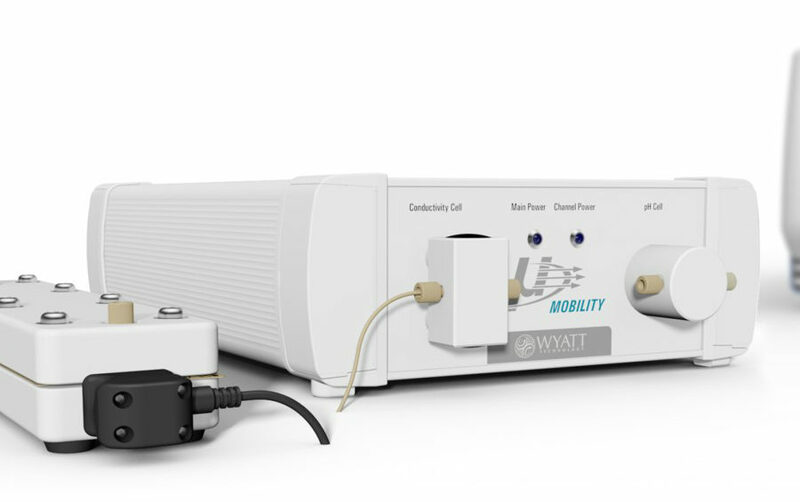 We have included Wyatt’s new system EAF4 Mobility, that combines electrical and flow fractionation in a single separation, to our instrument park. This is the most versatile separation technology available, with the benefits that analytes with the same size but different charge can be separated and characterized as well as that true size and zeta potential distributions can be determined.